Sign up to receive a monthly update on new books and goods in stock, and any events we have planned. What can I buy at Three Trees Books? Books: Initially we are stocking only a handful each of gorgeous cookbooks, PNW gardening books, a mix of old and new memoirs, children’s books, selected literary fiction, and beloved, tested, non-fiction “how-to” books - for your career, love, mind, body and spirit. But our stock will evolve over time based entirely on YOU and your interests. You don’t need Amazon (for books, anyway) anymore: We have the ability to order books to be sent directly to your home, so even if we don’t carry something we can still be your proud independent bookseller for all of your reading wants and needs. Greeting Cards: we carry Emily McDowell greeting cards, and if you haven’t heard of her cards I can’t wait for you to see them. They are irreverent, hilarious, and perfect for all of life’s good, bad and bizarre occasions. Aprons: What can I say? I (Ingrid - co-owner of Three Trees Books) LOVE aprons. All kinds. But this company in Japan in particular makes seriously cool ones - some are thin and light as air (and can be worn outside the home, in my opinion), and some are extremely heavy duty - ready to protect you from an ill-advised deep frying expedition. 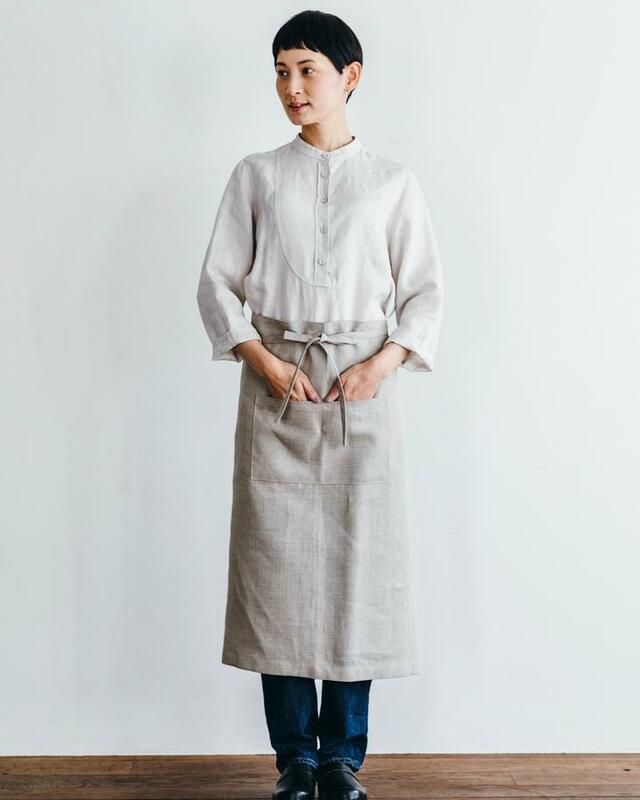 I will be adding to the collection with local apron-makers, but I am convinced that this initial stock from Fog Linen Work in Japan will be the start of what will become everyone else’s deep, abiding love for aprons. Syd: Syd is now available for sale here in our online shop! Syd is from The Suburban Monk (a wonderful woman-owned business), is a small happy monk who sits on your desk, or your windowsill, or wherever you have your shrine (you don’t have a shrine?) He’s the most charming “thing” I’ve ever met. He comes in 14 different colors, each representing different energies he will bring into your life and home. He’s a perfect gift, too. There is also Big Syd - he’s amazing, and quite large, but I only have one of him in stock. I think I’ll need to order more because I don’t think I can be without him once he’s sold and gone to his forever home. What’s a bookshop without coffee? We will be giving out free Nespresso coffee for browsers and buyers alike. We’ll have half-and-half in our mini fridge, and sugar/sugar subs. With that said, this free little dribble of espresso likely won’t replace your daily latte at The Bean across the street. So, my recommendation is to go to The Bean, then come back and hang out at Three Trees Books where we can give you espresso shot re-fills for free. Next door to the Seahurst post office! Reach out anytime to request special book orders, plan an event or to just let us know how we are doing.